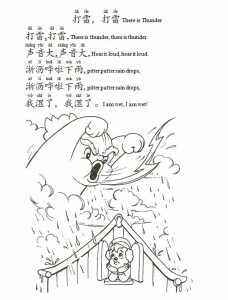 打雷,打雷, There is thunder, there is thunder. 聲音大,聲音大, Hear it loud, hear it loud. 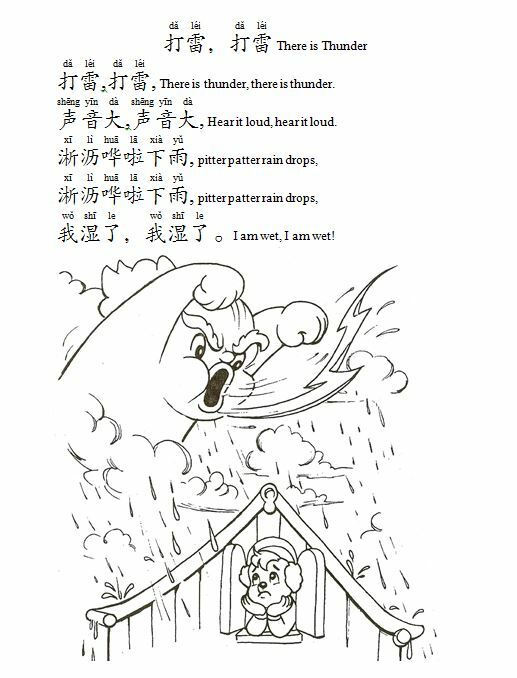 我濕了，我濕了。I am wet, I am wet!